Meet the November Invitational Players! It’s been almost two months since the Eternal Tournament Series began and the November Invitational was first announced. While there’s been many updates since then, I am now finally able to tell you (most of) the players actually competing in the Invitational! Not everything worked out exactly as planned, and we won’t know our final two players until the Last Chance Qualifier finishes on Saturday, but I hope you’re as excited as I am for the tournament! Edit: We now know our invitational players! They’ve been added to the list and the bracket has been updated! In moving from a 16 player tournament to a 12 player tournament, the rounds needed to adjusted to fit in the byes. Fortunately, we were lucky enough to have exactly four Weekly Winners, which allowed me to give them the byes and sort the rest of the players into round one. What did happen was we lost a Loser’s Bracket round, as the losers of Winners round 2 face the losers of Winner’s round 1. It’s a little odd, but it shortens the tournament without losing too much ground, so I’m happy we were able to end up with a bracket that doesn’t look too odd. One of the few qualified players from outside the United States, Crispah is a longtime tournament player who also competed in the Eternal Tournament Series predecessor, Scion’s League. With plenty of tournament experience and ladder success, our Crispah is definitely one of the tournament favourites. Another qualifier from outside the United States, Toth201 was an ETS regular who earned his spot in the final ETS Weekly to qualify. He’s one of several qualified players who shows that ladder results don’t necessarily translate into tournament results. One of Eternal’s two Ladder Kings (alongside Finkel), Unearthy is probably the best known non-streamer in the tournament. The undisputed master of Rakano, he has finished in the top 3 every season since they started tracking that data. In the face of Rakano’s nerfs, will he be able to adapt? Another player who defies the ladder rank equals tournament results, Babam earned all of his points in his qualifying tournament. A first wave beta player, Babam had plenty of success in Scion’s League tournaments and was one of the first to stream Eternal. KampfKrote didn’t lose a single game in the Top 4 on his way to victory, dopping only a single match in the Swiss beforehand. While this is his first ETS tournament, he’s running well and looks poised to go far in the Invitational. By far the most successful player in the Eternal Tournament Series, Rewind made it to the finals of three separate tournaments, but has yet to close the deal. Will he be able to go all the way and finish the job at the Invitational? One of the few players with the coveted Champion discord tag, Sir Rhino earned it by winning a major Scion’s League tournament, defeating myself and several Invitational players along the way. A well-known streamer and a Draft specialist, Sir Rhino has set his sights on a second championship. How far will he get? One of the tournament’s dark horses, Rekenner only started entering ETS tournaments near the end of the season, qualifying in the final Weekly Tournament. However, Rekenner is a longtime Eternal player, and he’s looking to break into the tournament scene in the flashiest way possible – by winning the Invitational! Linyvine swept the Swiss in the Last Chance Qualifier without dropping a match, but eventually fell short in the finals. He’ll be looking to go the distance at the Invitational and finish the job! An Eternal Tournament Series regular, Thundershot Top 8’d nearly every tournament he entered, but was never quite able to clinch qualification. He’ll be looking to finish strong this tournament and go all the way! 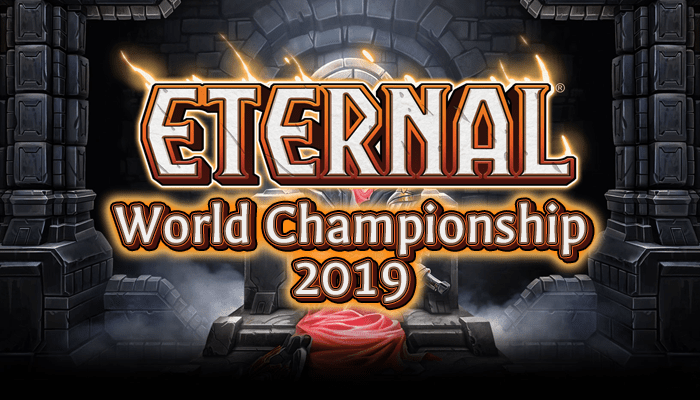 One of the original first wave beta players and a longtime Eternal streamer, LocoPojo was runner-up at the first ever Eternal tournament. With plenty of experience under his belt, LocoPojo is another tournament favourite. However with Dimensional Rift removed, it’s impossible to predict what he’ll play. Look forward to LocoPojo’s trademark crazy (but crazily successful) brews! A solid player who was top 100 Master in both the September and October season, Shedd looks to break into the tournament scene with a strong showing at the Invitational. Known for favoring linear decks, will he be able to adapt to the tournament metagame in time? The tournament will be streamed live on https://www.twitch.tv/arengeeeternal on Sunday, November 27th, beginning with the pretournament analysis at 11:30 am EST (8:30 am PST/4:30 pm UTC). Hosted by myself, aReNGee, the tournament will be cast by RNG Eternal’s own Neon and LightsOutAce. The tournament fan vote is now live! Vote for your favourite players, then cheer them on as they make their way to the finals!